The field of Otolaryngology Head and Neck Surgery has evolved significantly over the last century. What was once a specialty dedicated to treating common acute and chronic disease of the ears, nose and throat has become a complex surgical specialty treating diseases extending beyond the ear, nose and throat into areas like the base of skull. The developments of microsurgical and endoscopic technology have advanced the treatment and management of head and neck diseases. What once required extensive and mutilating surgery can now be achieved with minimally invasive procedures that improve outcome and afford superior functional and cosmetic results. 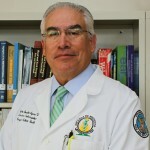 The Division of Otolaryngology Head and Neck Surgery of the University of Puerto School of Medicine has been involved in the treatment of patients and the training of Residents for over 50 years. Our residency program has been ACGME approved since its inception. In keeping with the evolution and changes with-in the specialty our faculty has grown to include fellowship trained, American Board of Otolaryngology certified physicians in the full scope of Otolaryngology Head and Neck Surgery. We offer our resident trainees a vast experience in all aspects of treating and caring for patients with diseases of the ears, nose, throat and neck. Our program stresses the need for an individual life long commitment to self directed learning. Despite constant supervision we encourage our residents to think independently and develop sound clinical judgment. Physicians graduating from our program are well equipped to enter independent practice or to seek advanced fellowship training. Over the last decade all our graduates have approved the certification examination of the American Board of Otolaryngology and many have been accepted to and completed fellowship training.